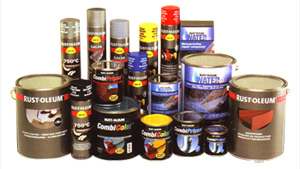 Below is just a small example of the Adhesive & Sealants on offer. 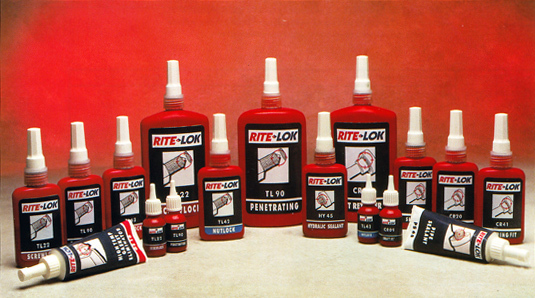 The RiteLok range of anaerobic adhesives includes products for threadlocking, retaining, sealing and gasketing. A range of viscosities, strengths and cure speeds is available to meet all application requirements. Products are colour coded for ease of use. RiteLok anaerobics cure to form a tough, durable polymer with excellent chemical and environmental resistance. Chemence technology has realised the ultimate production potential of structural adhesive systems. The company has developed a range of products based upon epoxies, rubber toughened acrylics and modified urethane acrylate. Full technical support is provided by an experienced team of qualified chemists and engineers. Custom formulations can be developed to meet specific application requirements. Why Select RiteLok Structural Acrylics and Epoxies ? RiteLok structural adhesives combine rapid speed of cure with high tensile, shear and peel resistance for maximum operating performance. 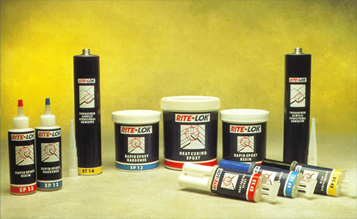 RiteLok structural adhesives are used to give permanent, load-bearing, force resisting bonds. They enable the joining of different materials, replacing spot welding and rivets. Bonded materials are capable of withstanding impact, differential expansion and thermal cycling. RiteLok resistance to solvents, humidity and chemicals. A comprehensive range of silicone and acrylic sealants for D.I.Y. and professional trade use, covering all aspects of sealant applications including glazing and roofing installations as well as general decorating and household sealing jobs. A quick drying, clear adhesive with exceptional bond strength, suitable for a variety of household repairs, D.I.Y., craft, hobby and office applications. Application: Will bond wood, metal, ceramics, porcelain, most plastics, cork, rubber, stone, glass as well as crafted materials such as card, paper, leather and fabric. Bonds to full strength in approximately 24 hours. Especially for day-to-day paint maintenance in building and industry RUST-OLEUM developed the 1-2-3 maintenance products assortment. A series of easy to use top quality products for professionals, not necessarily coating specialists. The assortment offers solutions to common maintenance problems from corrosion resistance to floor protection, safety marking and waterproofing. Using RUST-OLEUM products brings you immediate results. Higher solids contents offer better hiding power and higher film build, making one coat application possible under most conditions. They are quick drying and quickly recoatable. And in most cases only a minimum of surface preparation is required. The tougher paint film offers longer protection. Better pigments offer longer gloss and colour retention. The paint films are flexible and therefore resist chipping, cracking peeling.